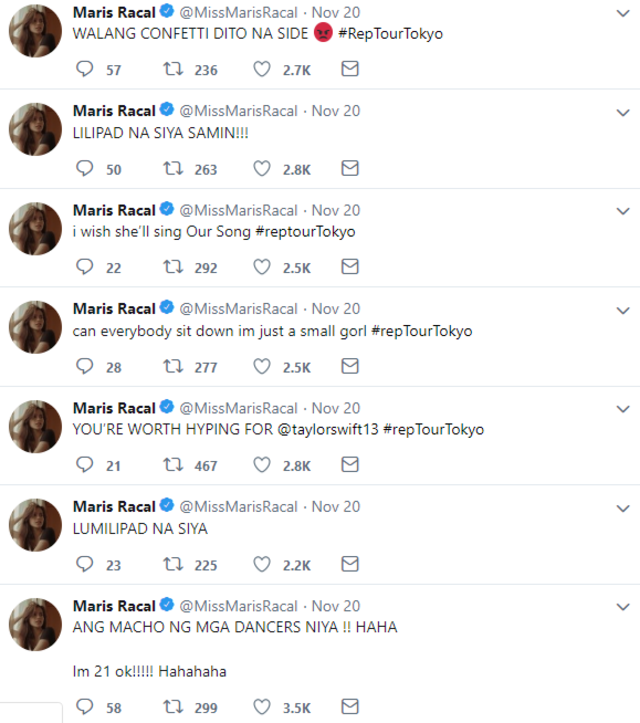 So it's official: Taylor Swift really isn't coming to the Philippines for her Reputation Stadium Tour, since her last stop was Tokyo, Japan, on November 21. 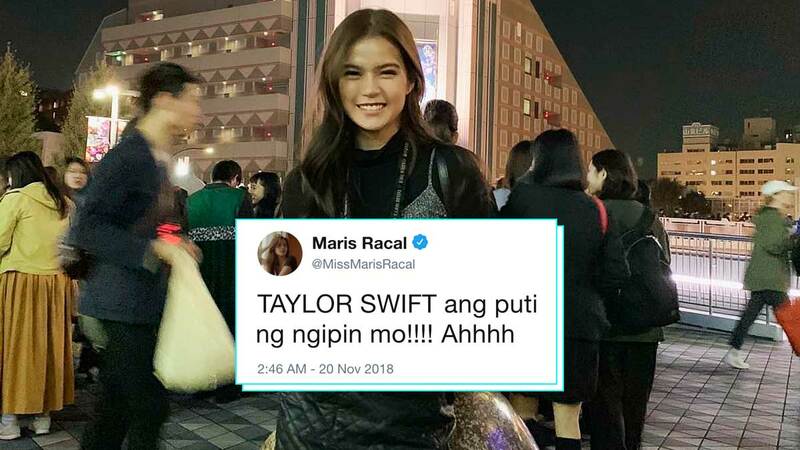 But there were some ~*lucky*~ celebs who got to see her abroad, including Maris Racal, who's been a solid Swiftie for years (ever since she was in grade school, actually)! 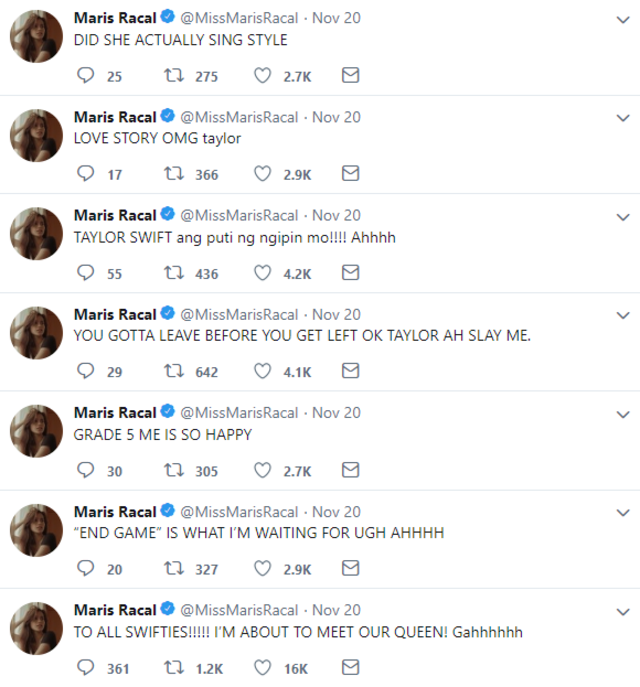 And...it just escalated from there as she gave real-time updates of the concert! She also gushed over TayTay's backup dancers and got bummed out because of the lack of confetti. LOL. Maris said sorry for being too loud that night! It's okay, bb. We totally understand. We're all fangirls too, after all.